I asked this question on some subreddit before and many people told me it may be because the motherboard just has weak VRMs and no cooling at all. I have got Bad news for you with a capital B. Your CPU is most likely dead too. Famous Youtuber JAYZ killed 2 Faildozers in a similar manner. First Faildozer died due to overvoltage (OC) and tempearture, and 2nd faildozer died when he removed the fried CPU and tried to post with a known good CPU. The mobo, a Gigafail one, killed the 2nd good CPU too. So w/e you do NOT put a known good cpu in the failed mobo and try to post with it. (I am so happy I buy only high-quality ASUS motherboards). You paired a cheap motherboard with a high TDP chip that was made specifically for overclocking, you gave it the chip a big OC, the overvoltage produced excessive heat, heat that your cheap mobo wasn't supposed to handle for extended periods of time, and your component failed. This is why one shouldn't cheap out on the motherboard if one intends to heavily OC one's chip for extended periods of time. High-quality motherboards with high quality components and Japanese capacitors will work reliably with OC'd chips for many, many years. If you booted the computer without the 4pin power, then you may have told the MoBo to boot with a previous profile overloading the socket power delivery and that could be the nasty result. Did you reset the BIOS before installing the CPU? Did you not plug the 4 pin cable? Was the CPU in working order before you put it in the MoBo? The OP didn't say anything about an overclock? I installed windows fine with that cpu, until I was idling few minutes on desktop and it crashed and upon starting the pc again, it fried the mosfet. The 4 pin power cable was plugged in, I would not be able to install windows on that machine without it. The bios was in stock settings except boot sequence. The cpu was in stock settings, as the rest of the components. The motherboard supports this cpu, the CPU was in stock settings, yet it failed. I get your bias towards expensive motherboards from asus, I already got second hand Asus Crosshair IV Formula, which should have no problem with this cpu. Ι will give you an example of why I am so partial to ASUS ROG motherboards. ROG motherboards have got a feature called USB BIOS FLASHBACK. Through it, one can reflash the board's BIOS without having to enter the BIOS at all and without even powering on the board at all. This feature saved my motherboard. My BIOS got corrupted bc I was OC'ing using the ASUS AI SUITE utility from windows. The board got stuck in an error 53 boot code loop and would not post. I thought my CPU was a goner, and in fact I had already ordered a new CPU to test with the board before the folks at ASUS suggested I had corrupted BIOS and that I should reflash by using the above flashback utility. If I had owned some other board which didn't feature this specific utility then I wouldn't have a way to reflash the BIOS without entering the BIOS so my mobo would be pretty much a goner. There's a lot of things that can go wrong in a PC that high-quality motherboards help you with, especially if you are overclocking. No Motherboard in the world will protect you from static electricity nor creating short-circuits with conductive paste or debris (case metallic parts that fall on it). Asus is not the only MoBo manufacturer to offer dual BIOS options either. They're pretty standard on mid/high range MoBos nowadays. I like Asus and I'm sure you love them, but don't let the trees take the forest away from your vision. After owning a couple Gigabyte dual-BIOS boards I can say I'm not really much of a fan of that approach vs. the 'BIOS FlashBack' approach. Firstly, on the boards I owned there was no way to invoke the back-up BIOS on demand. The board had to figure out it needed it on it's own, somehow. Second, and most important, when you update BIOS to a later one it doesn't update the backup. So now, if your CPU is not one supported by the earlier release of the backup BIOS, you're screwed. With a flash-back feature you can use that to fix the corrupt BIOS and get back running even without a CPU. There may be a way to both invoke the back-up on demand and to flash the backup to a later release but Gigabyte keeps it secret. There's nothing published and it absolutely should be provided in your manual to make the Dual BIOS feature truly useful. To backout a BIOS is more complicated than what you make it sound like... Specially with Intel. I have no idea how different vendors implement their methods, but I can tell you from experience that Asus is not fire-proof for backing out, or even updating them. I'm currently using the Crosshair VII Hero WiFi and it's been a quirky ride with the BIOS updates (I had to resort to full reset + pendrive flashing). I also had a P8Z77-V Deluxe that had serious issues with MCE and simple BIOS updates as well. Again, don't let the trees hide the forest. It's an old board. Old boards fail. It's a matter of When, not If. Can be caps, mosfets, resistors, transistors, diodes, ram slots, solder joints, pcie slots, anything. This is not Prevented by quality components, only Delayed, it's still just a matter of time before the weakest link breaks. In this particular case, that one particular mosfet in the VRM's was only 99% of the quality of the others at 100%. It failed. End of story. That means replace the mobo and hope the resultant voltage spike didn't also take out the cpu. Just an FYI, currently Asus and ASRock are tied for 3rd place for 'beefy' mosfets, right behind Gigabyte, and MSI has everyone beat by a good measure. I'm on my second Asus P8Z77-V, the first one bricked when following Asus directions to update bios with the ez-flash. I've a MSI B450M Mortar and I think that's the standard procedure for burning a BIOS using flashback. You pull the CMOS battery and do a reset, connect pen drive with BIOS in a file with specified name into a specified USB port and press the flash-back button. All you need is a PSU 24 pin cable attached...no cpu, no memory needed. Not even a case which makes me think it's using the 3.3V backup voltage to power the process. But that does mean your PSU has to be modern in that it has to provide the 3.3V BU voltage. The thing about this process is it's well defined in the manual AND on the website. That's what makes it comforting to me. I hope Asus has seen fit to provide the same support to their customers. In fact, ROG motherboards were the first to provide such functionality back when everybody else were licking their toenails. 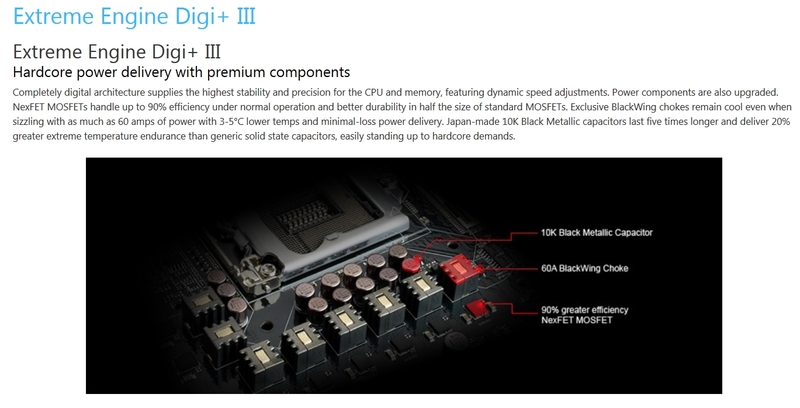 MSI is low quality Tier B China brand. Good for ppl with a low income, not for enthusiasts. I find it fascinating how you nitpick what to answer, hahaha. Haha, you should have been a lawyer. All boards fail, like you saw fit to inform us, but boards with quality components take such a long time to fail that this projected MTBF point will happen when the board is obsolete, making its use pointless, thus serving its purpose. On the contrary, a cheap motherboard has got an elevated chance to fail long before the board itself is obsolete, esp if one overclocks, like the OP found out. Question Fry USB 2.0 Port?